Does the idea of going to the dentist make you anxious? Have you ever made an appointment to see the dentist and then cancelled? Or have you avoided seeing a dentist altogether? Do you have a toothache or other dental issues you have been suffering from but still don’t want to take care of it because going to the dentist is just too stressful? Is what you are really wanting is pain free dentistry? Sedation dentist Dr. Boyer at Spring Valley Dental Care understands your concerns and anxiety and provides a variety of sedation dentistry treatments plus some extra special amenities to bring you comfort and a feeling of ease during your visits with us. Our sedation dentist practices pain free dentistry because we care about you and want your visits with us to be comfortable. Oral conscious sedation dentistry | We offer the pain free dentistry treatment of giving you a pill that will help relax you. Our sedation dentist is not trying to get you to fall asleep, so you will be conscious during this sedation dentistry treatment, just very relaxed. With this sedation dentistry method, you will feel woozy for a while after your treatment, so you will want to arrange transportation for after your appointment. Nitrous oxide sedation dentistry | You may have heard of nitrous oxide called “laughing gas.” This doesn’t mean you will start laughing the minute you have this pain free dentistry medication administered. Nitrous oxide is a gas that is mixed with oxygen then administered by having you breathe it in through a mask that is placed over your nose. Within a short period of time, you can feel relaxed and calm. This pain free dentistry treatment wears off quickly, so you can leave our office without the assistance of another form of transportation. 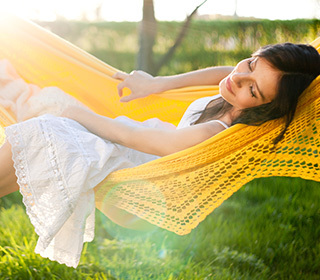 Relaxation & Comfort | Dental anxiety is estimated to keep more than 10% of patients from seeing their dentist. You don’t have to worry if you elect to use a sedation technique at your next appointment. Movement Control | Our sedation treatments minimize the movements of the patient. This helps Dr. Boyer complete treatments effectively. Better Treatment Quality | Sedation dentistry lets Dr. Boyer better perform treatments. While the patient is relaxed, they don’t have to worry about their anxiety. At the same time, the patient can respond to commands and participate more actively in the treatment. Sedation dentist Dr. Boyer and our friendly, well-trained team also provides you with headphones, blankets and pillows to offer you further comfort. Sedation dentist Dr. Boyer and his friendly team want you to feel calm and comfortable on your visits here. Contact us today to learn more about the pain free dentistry treatments we offer to Spring Valley and La Mesa patients. You can also fill out an appointment request!